"If You Aim at Nothing, You'll Hit It Every Time!" "Social Media is a Conversation, Not an Advertisement"
"The 'WHY' of Social Media"
In this 3rd part, I want to begin to dial things down, and become much more basic and practical. If this is covering old ground for some of you, I apologize. It's always challenging to know where to start when there is such a huge disparity between various levels of knowledge and ability. Some of this initial stuff may seem rather elementary, but I think it's crucial for building a solid Social Media Strategy foundation. Audience: Who are you trying to reach? Image: What kind of image are you trying to project? What is your brand? Message: What information are you trying to communicate? Audience - Who are you trying to reach? Identifying your target audience is critical because it determines the nature of your content/message and the particular platforms, tools, or applications you will choose to connect/communicate. As a real estate professional, I have several target audiences I am attempting to reach/attract. First and foremost, I want to engage potential real estate clients, primarily Buyer clients since more than 85% of all Buyers are accessing the Internet in their home buying process. Much of my social media content will be geared towards Buyers, but I will publish information relating to Sellers as well. Secondly, another audience I want to target is my Sphere of Influence (friends, acquaintances, and past clients in my database) and people in general within my geographic market area. And lastly, I want to develop and maintain connections with other real estate agents, fostering potential referral relationships. Image - What is your image/brand? Much has been said lately about 'branding.' My sense is that many people make it out to be much more complicated than it really needs to be. No doubt the stakes are probably much higher for huge billion dollar conglomerates whose global success depends upon effective branding. But for smaller businesses and real estate agents, where our markets are significantly smaller, what exactly is crucial? I think your primary goal in branding is for people to remember you. In the endless sea of real estate professionals, what sets you apart? What distinguishes you from all the rest? What does a tomato have to do with real estate? Absolutely nothing. But Jim Cronin has done a phenomenal job of branding his business, The Real Estate Tomato. And when have you ever seen a Zebra buy or sell a home? But Daniel Rothamel has done an amazing job of setting himself apart by becoming The Real Estate Zebra. It can be a logo, an image, or a catch phrase. It simply establishes your uniqueness among the masses, and helps people to remember you. Here on the Kitsap Peninsula WA, surrounded by the waterways of the Puget Sound, a popular pastime is recreational crabbing. Ask anyone about my personal passions, and they'll tell you that I love to catch and eat crab! So it only made sense to use a crab as my brand. Follow me on Twitter, and you follow the Crab. 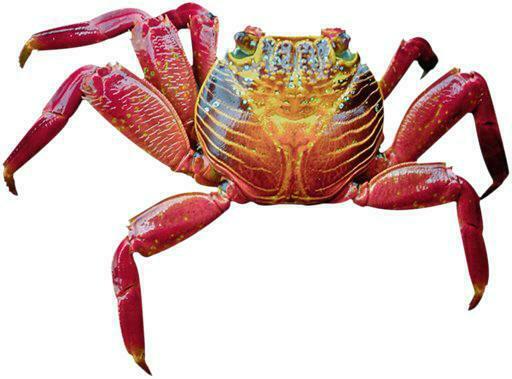 Read any of my articles here on ActiveRain or SOUNDBITEBLOG, and you'll see the Crab. I even have a blog dedicated to the sport of crabbing. Message - What do you want/need to communicate? "Social media is content created by people using highly accessible and scalable publishing technologies"
"A category of sites that are based on user participation and user-generated content, and are centered on user interaction." "Social Media are primarily Internet and mobile-based tools for sharing and discussing information among human beings." "Online technologies and practices that people use to share opinions, insights, experiences, and perspectives with each other." "Software tools that allow groups to generate content and engage in peer-to-peer conversations and exchange of content." Put yourself in the shoes of your intended audience. What information can you share that would be most helpful and beneficial to them? Empower your readers by helping them to better understand your local real estate market and make informed decisions. But don't forget to convey a sense of your unique personality, passions, and perspectives (The 3 Powerful P's of Conversational Blogging). You'll bore them to tears if your message is nothing more than an endless string of market statistics. "The 'WHY' of Social Media - Developing a Social Media Strategy, Part II"
To Access the entire 'Blog Tips for Rain Drips' series, go HERE. Rich - excellent article about targetting who your audience is, certainly makes you think about what you are putting out there. And also about branding! Great article! Rich - Really enjoyed reading this, especially since I learned a lot. Now I'm on the way to read the first two of the series since I missed them. I even popped over to take a look at your soundbite blog. Neat information there on the local scene, and very attractive and easy to read. I actually thought it was going to be a series of voice or video blogs due to the name (which I've been considering doing), but really enjoyed it nevertheless. Thanks for all the great info, and I'll continue to follow. Rich, it really helps when you break down marketing into smaller chunks, thanks! Personality, passion and perspectives, these are good things to keep in mind while writing. I also appreciate the way you explain brand; it gives me something to think about. Yes, just trying to get a handle on all this. Thanks for a good post with some eye-opening thoughts. I am doing ok with Activerain but Facebook and Twitter is something else!!! YIKES!! Hi Rich..finding your target (niche) shooting and hitting it are Crucial in our Business, another Great Post Well Done. Glad that I've been following this. I think that the most important thing that you said is that you can have several different target audiences that you are writing for when you blog, or engage in any other social media outlet. That lets me know that I am right on target with my blogging efforts. Thanks for the encouraging advice. Thanks for this article and the others in the series. I am new to Active Rain, so I have a lot to learn. I know enough HTML to be dangerous. I have been frustrated by using the built-in tools to format my articles. Your articles are well written, rich in content and beautiful to view. Do you do the layout in another application and then post into the Blog? It seems difficult to do, especially without knowing what tags are acceptable and what may be contained in style sheets. My websites are DEEP in that they have virtual tours for each property and I have made maps of neighborhoods that show my properties off well. My focus now is getting some BREADTH in my exposure. It seems to me that Active Rain and other Social networking is the answer to that. See my Land Man Website and my Google Map of the Seligman, Arizona Area. Thanks for applying AIM. I especially like your focus on buyers for social media and then your sphere. I'm going to apply that to my 2010 plan! this hadn't struck me quite as much as it did last night when i was watching ohio state and oregon.coach kelly, the ducks, had come from the university of new hampshire, me too. they mentioned that a lot of friends had come to the game from NH and the surrounding area. they called themselves "the new england ducks." i'll probably always remember that. that's the point isn't it. Rich, I am in the early stages of social media. This article made me think about things that I really hadn't. Using the AIM acronym will help me better remember my goals. And I hadn't really thought about branding myself. That is a great concept. Now I just have to figure out what works for me. I like how you used your love of crabbing as a means to brand yourself. This is so good, I'm going to part 4 right away. I've bookmarked this one so I can review further.